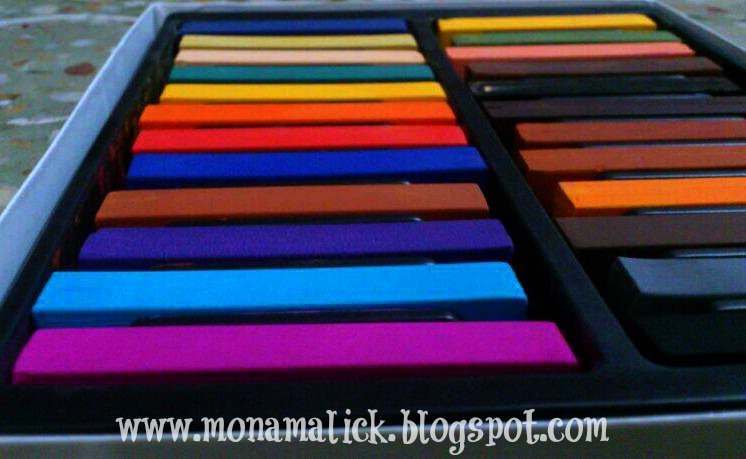 Today I am going to be reviewing hair chalks for you guys. A friend of mine asked me to review them so here it goes. 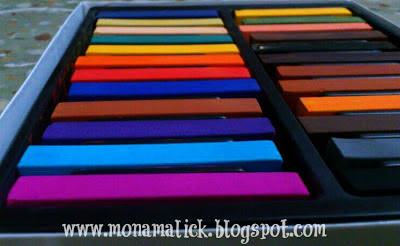 This is a box of 24 chalks.It has all the funky colors u need to come up with a funky look. Take a chunk of hair ,not too thick and twist it. Rub the chalk over the chunk of hair. 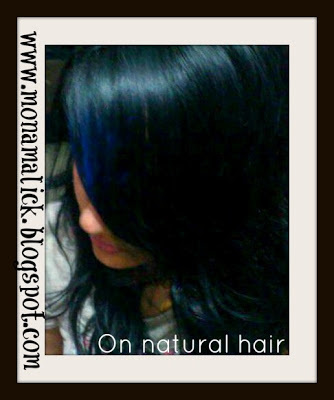 If u want to brush your hair then only use a wide toothed comb or the color will fade. You can straighten or curl your hair if you want to its optional.This is how they look on my natural hair color. 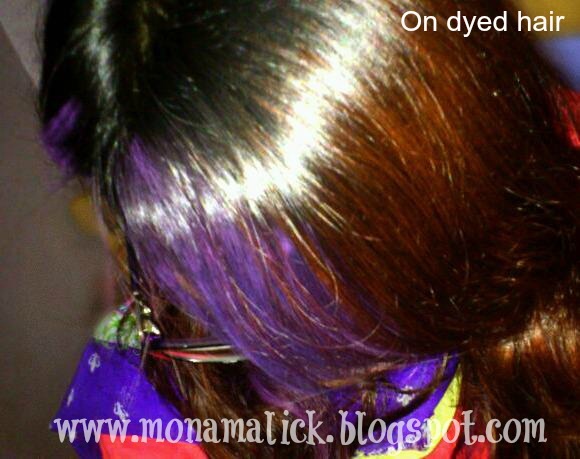 And this is how they look on dyed hair. 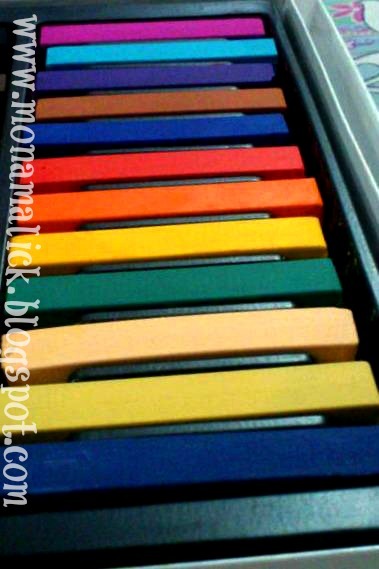 These are really easy to use. These are way better than hair dyes. They are not that expensive either. They don't damage hair unlike hair dyes. They are easily available . They dry up hair.My hair feels a little rough after using them. If you have black hair , it'll only last up to 2 hours. 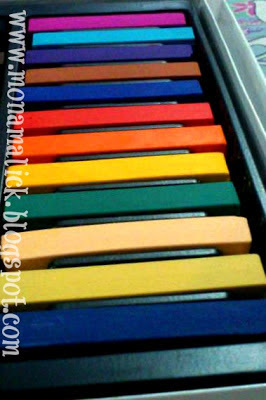 I know this is obvious but it can get really messy so always wear an old shirt or something.These chalks are worth trying because I've always dyed my hair and dyes have damaged my hair a lot and I never got the desired color but these chalks give you the exact color you want, they wont change color once they are applied on hair, which for me is a good thing although it makes hair a little dry but its worth trying.Though I don't recommend it for people with dry hair to use it on a daily basis.Hope my post helped some of you girls out there.